Easter Island, or Rapa Nui as it is locally known, is more than 2,000 miles from Chile and the nearest islands of Polynesia, making it the most isolated destination in the world. The island's main draw? The 887 extant monumental statues, or moais, created by the early Rapa Nui people. Moais are placed upon ceremonial platforms and graves called ahus. The statues are a large part of the reason why Easter Island is a UNESCO World Heritage Site, with much of the island (and many moais) protected within Rapa Nui National Park. Tongariki is one of the largest and most impressive ahus. Located at the foot of the Rano Raraku Volcano, 15 statues stand 200 meters high on their platforms. Vinapu is an archaeological site comprising of two ahus in ruins. In one of these, there is a stone wall with carvings similar to those found in Machu Picchu. Ma'unga Terevaka is the highest peak of Rapa Nui, at 500 meters (1,640 feet). The ascent to the top provides a magnificent 360-degree-view of the island. Also to note are the volcanic craters of Rano Kau and Rano Raraku. Their volcano remnant provided the stones for the moai figures. Various stages of the carving and partially-finished figures are scattered about. The island is very small and can be explored in a matter of hours. 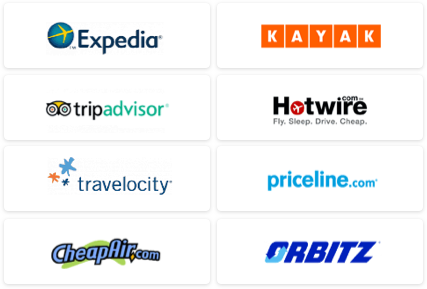 Rent a car, jeep, scooter, or bike to get around faster, or just walk around along the coast to catch some of the best views. Considering its distance from, well, anywhere, a trek to Easter Island is comparable in price to an African safari or witnessing the Northern Lights in the arctic circle. These faraway destinations are trips of a lifetime, which of course can be expensive. Although still not cheap, all-inclusive packages can be the more cost-effective way to experience the island. All arrangements, transfers, and activities – including exploring the island and the many moais – can be coordinated. explora: explora is synonymous with exploring Chile; they have prominent tour operations and lodges in Patagonia, Atacama, and most recently, Easter Island. 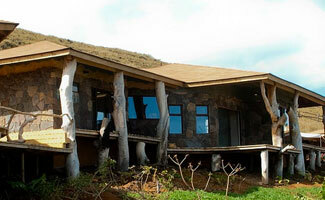 Posada de Mike Rapu on Easter Island was the first lodge in all of South America to obtain LEED certification. All 30 rooms have ocean views; some even have wild island horses grazing outside the window. explora's packages range from three to four, five, and seven-night stays. explora Easter Island offers upwards of 20 different adventure-driven excursions to choose from including, hiking, biking, and horseback riding. 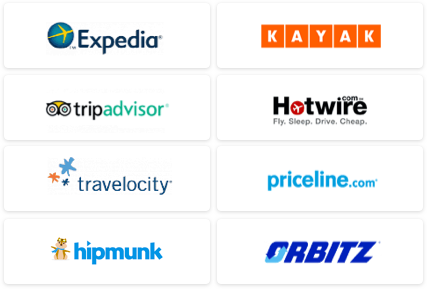 All excursions, guides, meals, booze, and, of course, accommodations, and transfers to and from the airport are all included. There's good news for the solo travelers, too: In celebration of explora's 20-year anniversary this year, they're waiving single supplements for all solo travelers through October 15th, 2013. Rates start at $2,415 per person for a 3-night stay. 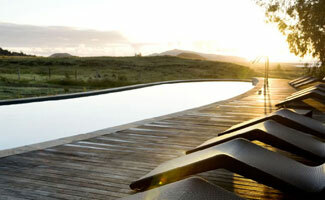 Hangaroa Eco Village & Spa: Hangaroa is Chile's most ecologically sustainable hotel. The rustic-chic property artfully blends into the environment – it was modeled after the Orongo ceremonial village, a stone village and ceremonial center at the southwestern tip of the island. 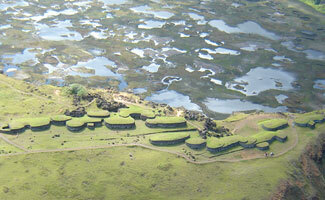 The hotel's curvilinear walls and grass roofs (pictured) are reflective of the village. The hotel's lounge spaces, reading room, and lobby are designed to resemble a traditional casa botes, or Rapa Nui homes. The Hangaroa has 75 rooms, two restaurants, the Manavai Spa, a 75-person cinema, spectacular views of the Pacific, and sits on the edge of Hanga Roa, the only town on the island. While Hangaroa is not a full all-inclusive property, the hotel's Premium Program includes transfers, meals, beverages including wine, a welcome drink, a daily cocktail, a full mini bar, and a choice of one full-day excursion, two half-day excursions, or a spa treatment. B&B rates start at about $280 per night, per person, based on double occupancy; a 2-night (minimum stay) all-inclusive package starts at $360 per night, per person, based on double occupancy. Hare Noi: This chic retreat offers spa and massage services with their packages. The spa is surrounded by volcanic stones, a wading pool, and a natural rock solarium. The on-site restaurant's menu incorporates local produce and is influenced by ancient island recipes. The rooms offer garden or ocean views, with expansive views of the Pacific. The Unforgettable Hare Noi package starts at about $242 per person, per night, for a 2-night stay. It includes a 30-minute massage, two half day excursions, cocktails, a lunch, two dinners, and transfers. LAN is the only major carrier that flies to the island with daily direct flights from Santiago. The best time to visit is during the island's low season between March and June when flights are slightly less expensive.